We are extremely proud to announce that we have expanded our shop! We are falling in LOVE with our brand new Sample Sale Bridal Suite! Brides that are interested in purchasing a sample sale gown now have the opportunity to view our large collection of over 50 stunning gowns in your own private suite. 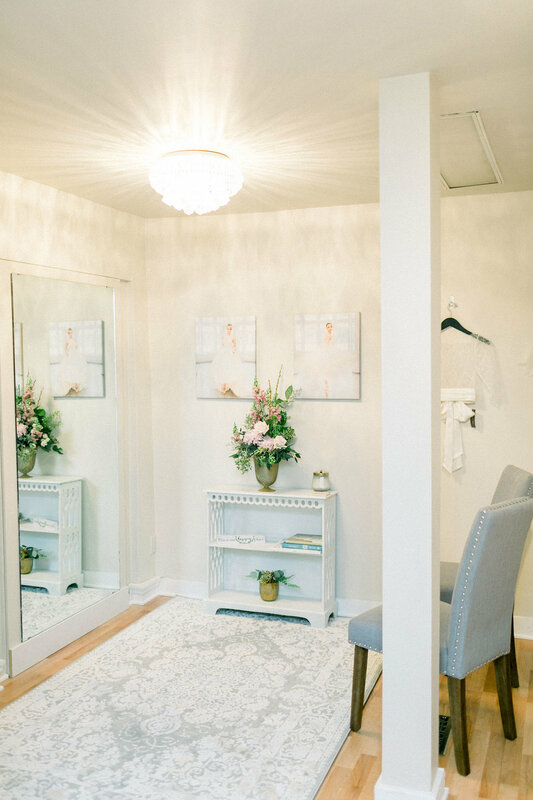 Our small group private room addition includes your very own fitting room and mirrored try on space for you and few of your favorite people. Lily Saratoga believes every brides deserves to feel special and have that amazing gown experience, no matter the budget! We encourage our sample sale brides to bring your most important people with you to the appointment, you never know when you are going to find "THE ONE"! Question: What is a sample sale? Answer: A sample sale is when a boutique sells the gowns that brides try on in the store, often very large discounts. We have 50 gowns under $1500, with the lowest gowns starting at $199 and many of our gowns are between 50-70% off! Lily Saratoga goes to Bridal Market twice a year and purchases for our shop, and with all those gowns coming into the store, we always have beautiful gowns available for sample sale. We are so excited to share our gorgeous new Sample Sale Suite with our potential Lily Brides! Be sure to call and book your appointment for the sample sale room if you are interested in trying on some of these gorgeous gowns! We can't wait to meet with you!